**** Chosen by Winner: Malcolm C.
The A300 Outlander Synthetic gives shotgun hunters and shooters the possibility to trade up to a Beretta semiauto. A fantastic value for the money, the A300 offers all the features that have made the Beretta 300 line a favorite of millions of sportsmen around the world--with its legendary pointability, ease of use and maintenance, as well as absolute reliability. 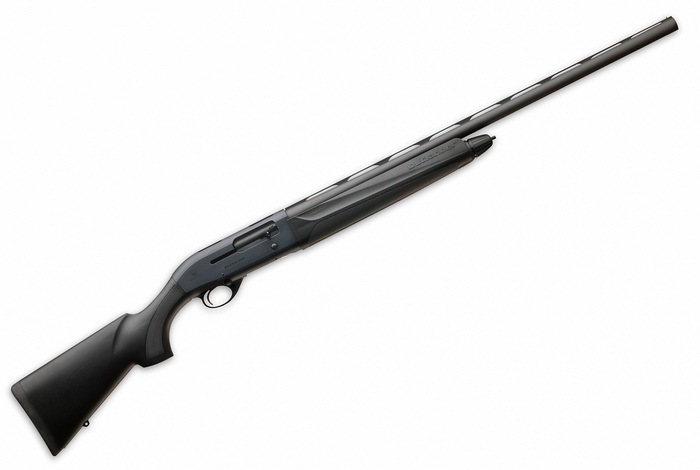 A versatile shotgun for upland birds, ducks, turkey (the receiver is grooved to accept optics) and sporting clays, the A300 is designed to outperform semiauto shotguns costing several times as much. Adaptable to Your Size and Shooting Style One of the things you’ll appreciate about the A300 Outlander is the fact that you can easily adapt it to your measurements and shooting style. This shotgun gives you the possibility to customize the drop and cast of the stock by means of spacers that you can insert between the action and the pistol-grip. Also, the safety is reversible, making it a snap to adapt the A300 for a left-handed shooter. Durable, Tough but Light The A300 is made of the proprietary steel blends that have made Beretta shotguns famous for their durability. The Mobilchoke barrel is designed to shrug off the pounding of heavy hunting loads, giving you a long-lasting tool that will work as hard as you need it to. But in spite of its toughness, the A300 is light, feels lively in the hands and easily follows your eyes to the target, thanks to the low-profile action. And its impeccable balance make it feel even lighter than its 7.25 lbs, meaning that this attractively-priced shotgun will give you premium shootability in spite of its unbeatable value. Easy to Maintain This shotgun is the perfect embodiment of Beretta’s philosophy about maintenance: easy, quick and tool-free. The A300 Outlalander breaks down into four major components, making it simple to take apart and clean even under less-than-ideal field conditions. Also, the self-cleaning gas piston makes this shotgun shoot much cleaner than other actions, giving you more durability as well as less work keeping it in perfect shape even after a hard day at water’s edge. Overall, the A300 Outlander Synthetic is today’s best value in a synthetic semiauto shotgun, and a worthy heir to Beretta’s legendary 300 line.